Sporty neoprene cooler is perfect for work and play. Leak proof, insulated, main compartment holds up to 6 twelve-oz. cans. 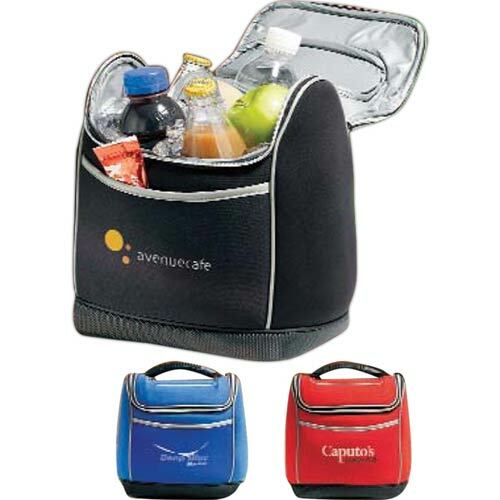 Front pocket for accessory or condiment storage. Made of neoprene Reduce your impact on the environment by reusing these great cooler bags again and again.